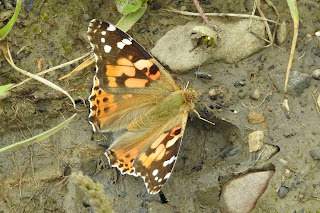 The dreadful weather of this summer so far has limited my walks and sightings of butterflies as they, like me, don't much enjoy getting wet. 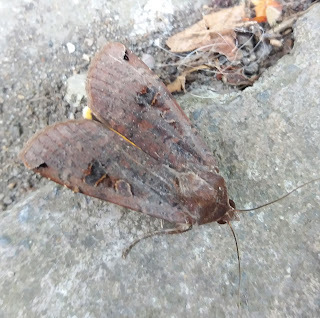 However, here are a couple of sightings from earlier this month on Ffos Las and at home in Trimsaran starting with a truly dreadful mobile phone picture of a large yellow underwing which I disturbed sheltering under my carport on 4th August. 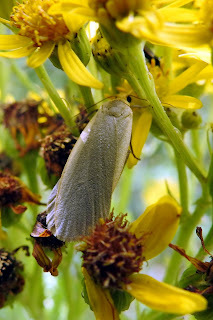 A dingy footman nectaring on ragwort on 5th August. Incidentally, I have seen very few cinnabar larvae on the plentiful ragwort this year and not a single adult moth either. A painted lady basking on the footpath, 5th August. My commiseration to Jacqueline for losing her Old Lady in her post of 9th August as I had a similar frustration in not managing to get a photo of the clouded yellow butterfly that I saw on the 5th. It flitted from flower to flower tantalisingly close to me but never settling long enough for me to focus the camera and then it headed off across the scrub land where I couldn't follow. I didn't see any clouded yellows at all last year but saw several in 2015 so am hoping to see another one this year. 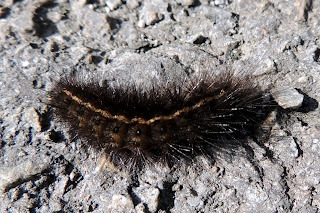 Is this a white ermine larva? It was "running" across the path on 10th August. All corrections and help gratefully received, as always. Hi Maggie, You have some great photos here, and yes, it's so frustrating when you loose a moth or butterfly, and miss getting the shot for reference. By the way, well done, I can confirm the ID of the caterpillar is, as you say, a White Ermine, which looks very close to pupation. One of its larval food plant is common nettle, so it will have been fattening itself up on plenty of food, and will now pupate amongst leaf litter, and plant debris. I have Buff Ermines which I have raised, and a few White Ermine which I found on my garden path, which have now pupated. The Buff Ermines started pupating, (after they finished gorging themselves on honeysuckle leaves and common nettle), from 22nd July, but have already started emerging!!! I shall post photos soon! P.S. Check out my earlier post showing photos of the different stages of the Lobster Moth caterpillars that I also raised. They were incredible! Maggie, We passed by Ffos Las the other day on our way back to Pembs. and I looked for the area where you walk. We couldn't see a likely area or where to park so we gave up! Can you post some directions on this blog? 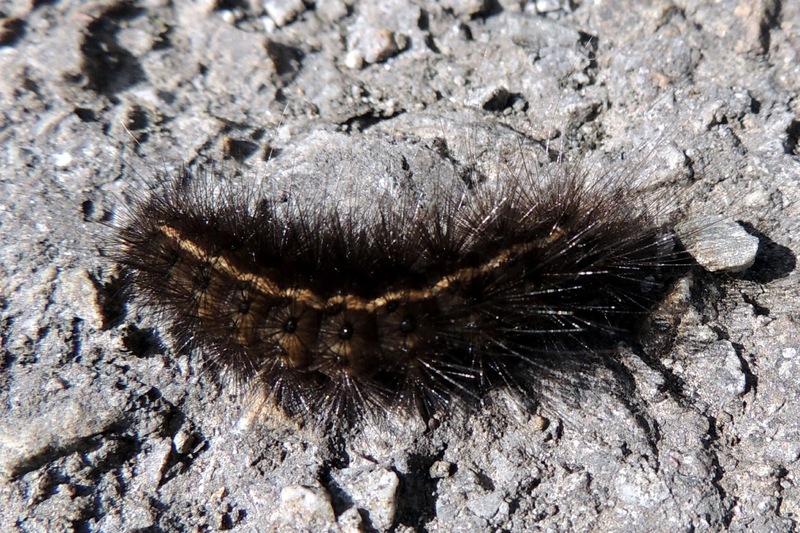 Thanks Jacqueline and Rosemary for your comments and confirmation of the identity of the white ermine caterpillar. I have indeed seen your post about the Lobster moth larvae. They almost look as if they are monsters from a sci-fi or horror movie rather than real caterpillars! I'm responding with a separate post to Rosemary's request for a map. Glad to have helped with the ID Maggie. I have to agree about the Lobster moth larvae, but was fascinating raising them, and quite miss them now. So glad I had the opportunity to see them up close, incredible things.